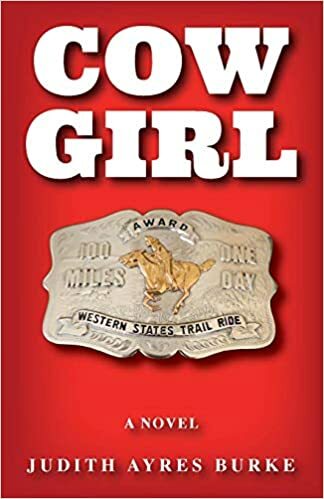 COWGIRL is a galloping historical novel of the TEVIS CUP- the world famous100 mile one day endurance horse race over California's Sierra Nevada and a mother and daughter aiming to win. DREAMS HAVE A WAY OF CHANGING. That’s what Cowgirl is always reminding her fourteen-year-old daughter, Lizzy. They certainly changed eight years earlier when Cowgirl’s husband and Lizzy’s father was incapacitated in a bull riding wreck. But for Cowgirl, one dream has remained constant. That she and Lizzy would one day complete the Tevis Cup, the world-famous, hundred-mile, tenty-four hour endurance horse race over the Sierra Nevada mountains. Lizzy shares the dream but it is Cowgirl’s life mission on race day. COWGIRL is the story of their attempt. With the support of their unique and skilled trail crew- a giant, a dwarf, an invalid and a tough old broad- the challenges they face, from both the natural world and the human condition, drive the evocative plot. Taking place over twenty-four hours, the saga chronicles a number of heroic journeys, not all of which involve a horse race.